This roast recipe is very simple but tasty. 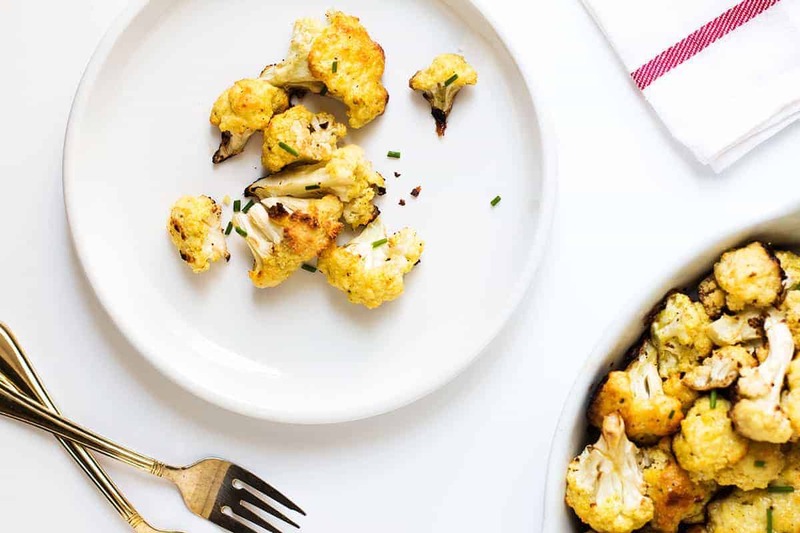 If you’re looking for a healthier alternative to frying, keep reading to learn this parmesan roasted cauliflower recipe. I served this to my kids today as “a snack” and they wolfed it down. It of course goes well with rice dishes and with diverse proteins from light fish to hearty meats. I enjoy baking cauliflower in an oven because the dry heat cooks it (or other veggies) evenly on each side. 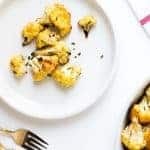 I love the taste of fried cauliflower but this oven roasted cauliflower recipe is as tasty as fried, lower effort and less mess than frying. It uses less oil and is healthier than frying cauliflower, too. I just spray some olive oil cooking spray, then toss in seasoned cauliflower florets then drizzle afterwards with a small amount of olive oil. I grew up making stir-fried vegetables and it’s second nature for me, but have modified many fried recipes to roasting and am quite pleased with the results. I think this recipe is even better than the roasted curry cauliflower I’ve made before. I used a small amount of adobo seasoning for this cauliflower recipe. You can purchase the seasoning at most local markets. The adobo seasoning I bought contains sea salt, so I would highly recommend you to check the ingredient list before adding extra salt. Also, I am a cheese lover but cut back on the amount in this recipe to let the other ingredients like adobo and garlic shine. Beat the eggs, then add onion powder and garlic powder in the bowl. Dip in the cauliflower then season with parmesan cheese. Toss cauliflower florets onto baking sheet, drizzle with a small amount of olive oil then roast for 25 minutes. Those sound so good! Cauliflower is one of my favorites and these sound amazing!! That sounds delicious! I roast cauliflower all the time, but I’ve never tried it with parmesan before. I can’t wait to give this a try. I have been told roasted cauliflower is amazing! I need to try it because this looks absolutely delicious and I’m trying to find healthy meals that my family will still eat. My family loves roasted cauliflower. I have never tried with an egg dip though, need to try this. I am in utter heaven looking at your delicious roasted cauliflower recipe. It is one of my favourite veggies! Making note of that cauliflower recipe because everyone in my house would love it. I absolutely adore roasted cauliflower. Love this recipe, I’ll have to give it a try! That looks so yummy. I’ve never tried roasted cauliflower before. I’d love to give it a try. What a delicious recipe! 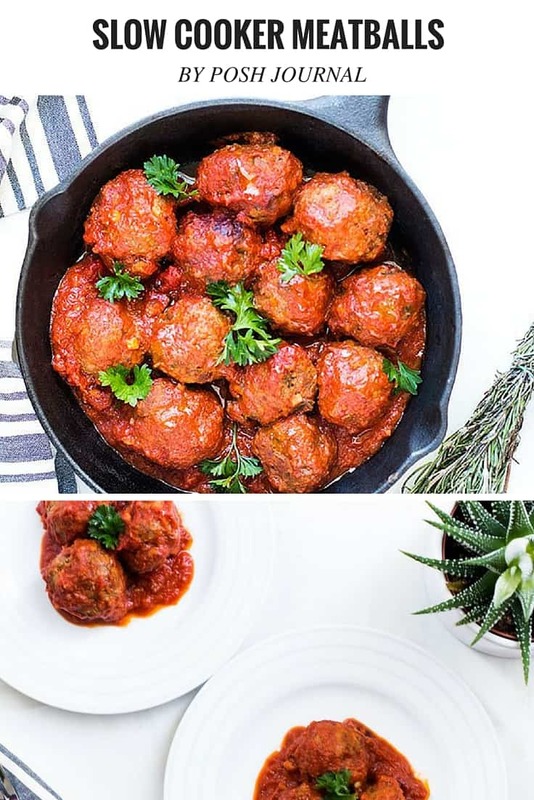 My husband follows a keto diet and it is so difficult to find ideas for dinners and sides. I agree, roasting is better than frying. I love how the cauliflower was prepared in this recipe. I’m going to try this and of course, smother it with lots and lots of cheese! This recipe looks amazing. I love cauliflower but this would be a great alternative to plain cauliflower. I would love to try out this cauliflower recipe and see if I can get my husband to finally eat some! This looks like a great flavor to finally get him on board. That califlower has me drooling. I love it and we all eat it raw with dressing on it. I need to learn to make dishes with it like this recipe. In fact, I’m going to start with your recipe. This sounds so delicious. I love cauliflower, but have not ever roasted it. I try to sneak it i my kids potatoes. I haven’t thought of roasting cauliflower. Judging from your photos, I could say it is really delicious. Cheese has always been great with cauliflower, regardless of what kind of cheese you have. Thanks for the lovely recipe! I have been looking for healthier recipes to try. I have never tried roasting cauliflower before. 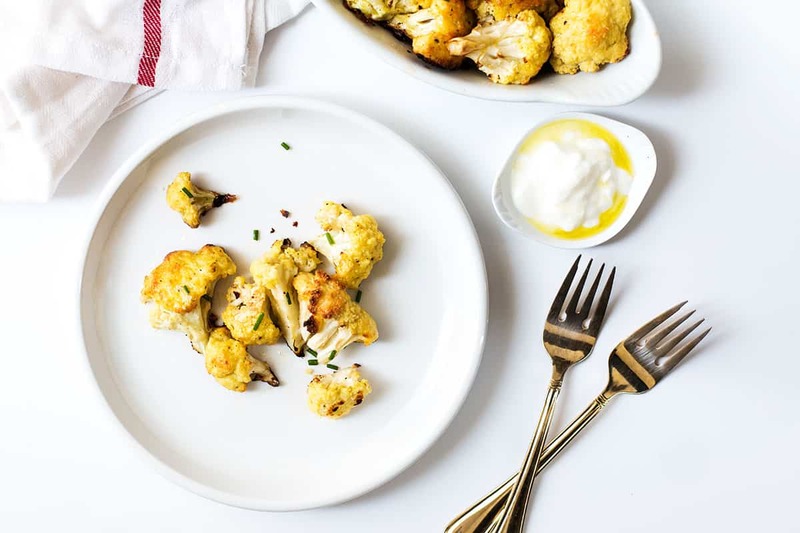 This Parmesan Roasted Cauliflower recipe looks so delicious i am excited to try it this week. 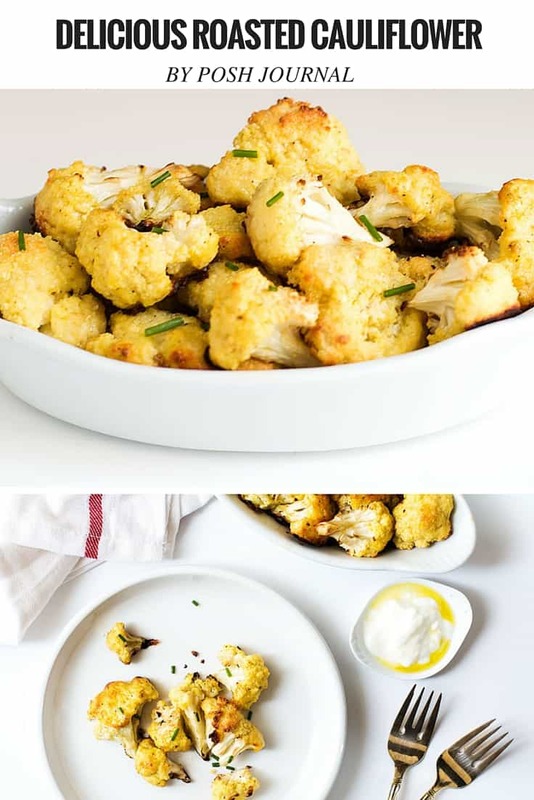 I never try roasted cauliflower but looks like a delicious food, i think i need this on my list for a Healthy eating. I love cauliflower and this looks so delicious! I can’t wait to try this. We never really tried cauliflower until lately, but now it is one of our favorites. THese looks so yummy! I never tried roasted cauliflower but it looks fantastic. I wonder what it taste. This roasted cauliflower looks delicious!! I need to make this soon!! This looks like a great one to try. I love using cauliflower in new ways. Your recipes always look amazing. I love roasted veggies, but never thought to try roasting cauliflower. Both my husband and I like cauliflower and we need to eat more veggies, so I will give this a try. I have not personally made roasted cauliflower but this sounds amazing. It seems like a wonderful substitute for common starches we use as sides on our dinner plate! I’ve never had roasted cauliflower before. I’ve only eaten them raw with ranch dip. So many delicious recipes! I love cauliflower and I need to eat more of it! I love cauliflower but I usually steam it. This looks delicious and I absolutely love finding new ways to prepare things. This one is definitely being tried out on the fam this week!